MAGICK RIVER: Wishing you the best birthday ever, dear Altantuya! Wishing you the best birthday ever, dear Altantuya! It should have been the perfect cover-up. Troublesome Mongolian woman is "arrested" by plainclothes policemen outside the gates of Abdul Razak Baginda's residence where she had been causing embarrassment to the political analyst, defence consultant, speechwriter and personal friend of Najib Razak, Malaysia's defence minister and deputy PM. The Mongolian woman believes the Malaysian police will take her to the station, interrogate and intimidate her, and then forcibly deport her. Nobody knows exactly what happened to Altantuya Shaariibuu between the time she was seen entering the Unit Tindakan Khas (Special Action Squad) officer's car and the time her body was blasted to tiny fragments with C4 explosives. Was she taken to Bukit Aman? Or driven to a secret location and toyed with before getting shot twice in the head (according to some reports)? Did her police abductors treat her with courtesy - or was she humiliated, tortured and raped before they killed her? Will we ever find out? The two UTK officers who have been charged with the hideous crime - Corporal Sirul Azhar Umar and Chief Inspector Azilah Hadri - were personal bodyguards to defence minister Najib Razak. So under whose specific orders were they acting? In any case, the only reason Altantuya's body was blown up in the jungle was so that it would never be found - at least not in one piece. Somebody extremely powerful had instructed an immigration officer to delete all computer records of Altantuya Shaariibuu's arrivals and departures from Malaysia. When her cousin lodged a police report that Altantuya had disappeared, a massive search would have been initiated. After which a government spokesman would have told the media that the immigration department had no record of the Mongolian woman arriving in Malaysia. There would be insinuations that Altantuya Shaariibuu did not, in fact, exist - and that her "cousin" was perhaps mentally unsound, possibly paranoiac, and had concocted the story of Altantuya's vanishing act in order to attract attention. So why did the gruesome story make the front pages on local dailies nearly three weeks after the fictitious Mongolian woman was murdered? Who would have known about the jungle explosion in the middle of the night in the middle of literally nowhere? I was told by a friend with connections to the legal fraternity that it was an Orang Asli family that reported the blast between October 19 and 20. 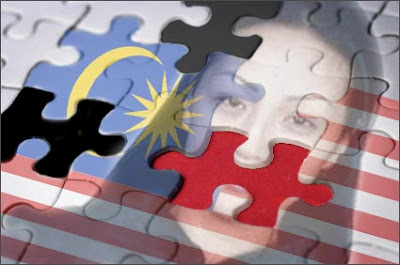 Altantuya's killers must have killed her and then taken her body to a spot well-known to Chief Inspector Azilah Hadri (who had boasted to Abdul Razak Baginda that he had terminated at least six people "in the line of duty"). Nobody was supposed to hear the explosion that would remove all evidence of Altantuya Shaariibuu's earthly existence. 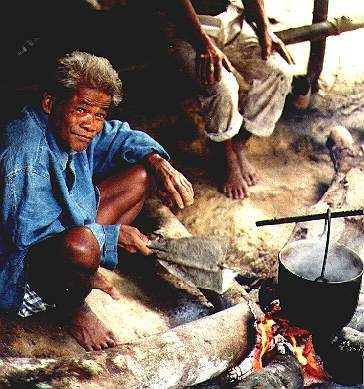 Apparently, unbeknownst to the killers, a few Orang Asli were encamped in the vicinity and were startled by the blast. They investigated the next morning and, realizing that a crime had been committed, lodged a report at the nearest Balai Polis. Thus far I have found no way to confirm this detail. 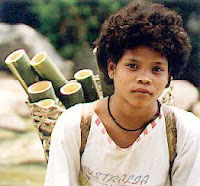 After Googling the case for hours, not one single reference to the Orang Asli factor. If anybody can confirm this, will you please contact me or leave a comment below this post? I would like to know for certain that it was indeed the Orang Asli who blew the lid on this macabre and malevolent affair. It would be the ultimate irony, if this was true, that the "highest and mightiest" in the land would ultimately be brought down by the humblest of the humble. One newspaper mentioned that people in an adjacent housing area heard the blast. Someone - maybe comments in MT - told us that neighbours of the Exalted One later heard loud aruments, probably Him berating She Who Must Be Obeyed. To correct the above comment, perhaps it was at MI, not a newspaper. The persons who heard the blast were said to have reported it. This is highly unusual as making a report in Bolehland is itself difficult, even for a mater of personal concern.